Tamil being a classical language and all with kids not able to read or write it, and language stuck by standards and vocabulary written by old men in the pre – computer and digital stone age era it’s all time for change. 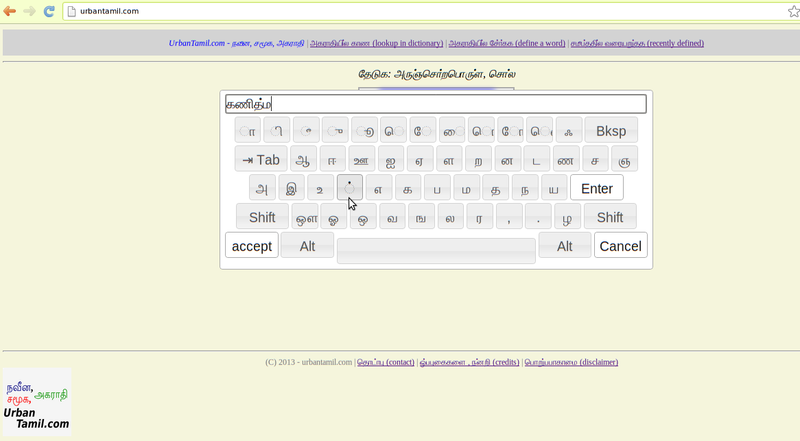 We need a fun modern way to learn the Tamil language. Educational games in English language include puzzles like scrabble, jumbled words, matching, word building games to spend leisurely time as well as focused toward particular learning objectives. There are many Tamil applications for android and iPhone with quizzes, hangman like apps. At UrbanTamil project we have believe there are modern approaches to learning the Tamil language and vocabulary. Keeping classical Tamil alive is very important. But so is keeping popular language alive too. Capturing the usage and educating users is possible via Internet at a low total cost. Hope you have fun with these features, and leave your feedback in comments. 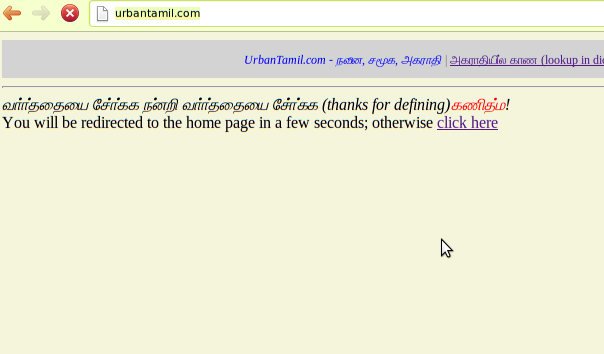 Today I’m setting up a new project and writing this blog to announce urbantamil.com which is live now. 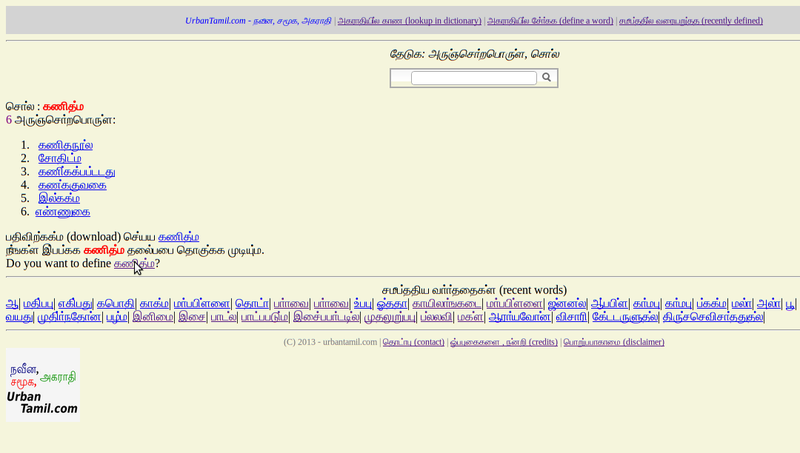 UrbanTamil, is like urbandictionary.com for Tamil, to provide a user centered, social dictionary building experience, and free reuse. 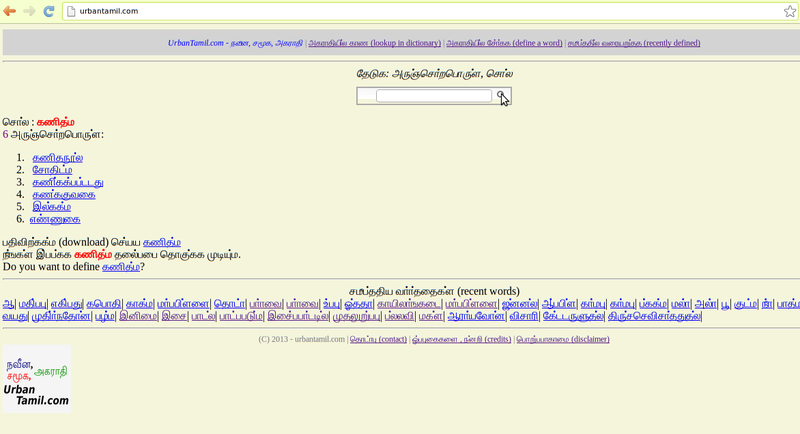 All content will be contributed back all the entries under CC SA 3.0 to Tamil Wiktionary. You can define the word, and add custom information. Moreover users can correct (edit) existing words for spelling mistakes, usage, and define new words. Build a open vocabulary while having fun. This project will be fun, and I hope you a user community can engage and develop out of the website urbantamil.com; I always welcome feedback, and let me know how you think of it – via email or comments on the blog.